Quick summary: In this lesson students learn about the achievements of Charles Darwin and Alfred Russel Wallace, and in particular the importance of their contributions to the theory of evolution. Students imagine that they are court reporters for an imaginary court case between Charles Darwin and Alfred Russel Wallace. Students work in pairs to produce a series of five short podcasts describing the events of the court case in which Wallace accuses Darwin of stealing his evolution by natural selection theory. 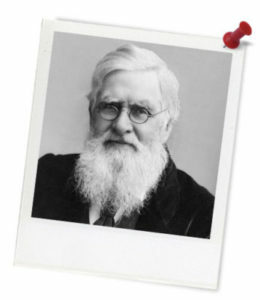 Students understand the roles that Charles Darwin and Alfred Russel Wallace played in developing our theory of evolution. Students demonstrate understanding of the theory of evolution by natural selection. Resources required: Internet access, voice recording device (e.g. phone or tablet). Student Worksheet – one copy per student OR computers/tablets to access the online worksheet. Darwin and Wallace factsheet. Podcast assessment rubric. Tips for making a great podcast. Digital technology opportunities: Podcast creation (e.g. Audacity), digital sharing capabilities. Keywords: Evolution, natural selection, Charles Darwin, Alfred Russel Wallace. Overarching learning goal: By participating in this activity students will understand the roles that Charles Darwin and Alfred Russel Wallace played in developing our theory of evolution. As part of this activity students will be asked to demonstrate understanding of the theory of evolution by natural selection. Teacher content information: In 1858, while feverish and bed-bound on an island in the Malay Archipelago, Wallace had a flash of inspiration: he understood how species evolved! In his feverish state he realised that species changed because the fittest individuals survived and reproduced, passing their advantageous characteristics onto their offspring. 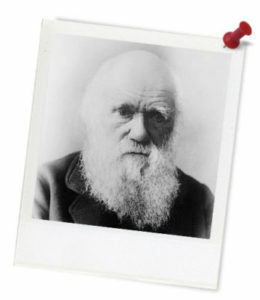 Wallace wanted to tell someone about his theory and immediately wrote to someone he knew would be interested; Charles Darwin. Thought starter: What is ‘modification by descent’? 2. How did Wallace contribute to the theory of evolution? 3. What did you find most interesting or surprising about the work or Darwin and/or Wallace and why? 4. What questions do you still have about Darwin and/or Wallace and the work that they did?